WASHINGTON — The Trump administration is moving closer to completing an executive order that would ban telecommunications companies in the United States from using Chinese equipment while building next-generation wireless networks, according to American officials. President Trump has been briefed on the proposed ban, which would prevent the use of equipment from “adversarial powers,” and the order could be issued in the coming days, American government and industry officials said. The executive order, which has been under discussion for months, is aimed largely at preventing Chinese telecom firms like Huawei from gaining access to the fifth-generation — or 5G — wireless networks that companies are beginning to build in the United States. 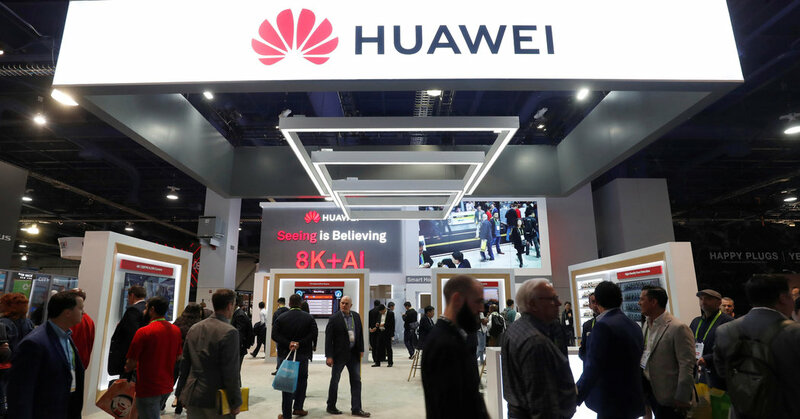 American intelligence officials have grown increasingly concerned about Huawei and other Chinese telecom companies, saying their inclusion in American networks pose security risks that could jeopardize national security. 5G is expected to be far faster than today’s wireless networks, allowing a broad range of devices like autonomous vehicles to be connected to and controlled by wireless networks. The executive order has been expected for months and news reports have repeatedly predicted its imminent rollout, only for the order to be delayed. But American officials are increasingly ratcheting up pressure on Huawei, which is China’s largest telecom equipment company. The United States recently brought criminal charges against Huawei’s chief financial officer, Meng Wanzhou, and is seeking her extradition from Canada, where she was arrested at Washington’s behest. Top American officials, including Secretary of State Mike Pompeo, are in Europe this week pressing allies to take their own steps to ban Chinese companies, including Huawei, from their next-generation networks. The executive order would help strengthen the United States’ case to other nations, according to American officials. Government and industry officials have expected the executive order to be announced this month before a mobile technology trade event in Barcelona. But other people briefed on the effort said the administration wanted to complete its trade negotiations with China before introducing the order. American trade negotiators are in Beijing this week trying to hammer out a trade deal before a March deadline agreed to by both China and the United States. American officials have repeatedly emphasized that the executive order — and its concerns about Huawei — is separate from the trade talks. But Mr. Trump has allowed trade and security issues to be intertwined before, even when security officials have tried to keep them separate. During an Oval Office meeting last month with top Chinese trade officials, Mr. Trump said he expected Huawei to come up during the talks. And the president previously stepped in to end a ban on another Chinese telecom company, ZTE, which was prevented from buying American technology for seven years. Security officials are still smarting from Mr. Trump’s capitulation to a request by President Xi Jinping of China that the United States drop that ban. Mr. Pompeo is visiting Hungary, Poland and other European countries this week and has been making the case to allies that they should avoid using Chinese telecom companies in their 5G networks, saying it is a security risk. American officials have been privately telling European allies that decisions about troop presence and bases could be predicated on which countries have 5G networks free of Chinese equipment. This week, Mr. Pompeo issued a public version of that warning, telling allies to steer clear of Chinese-built 5G networks. The acting secretary of defense, Patrick M. Shanahan, is scheduled to be in Brussels for meetings on Wednesday and Thursday and will travel to Munich on Friday for the annual security conference there. He is also expected to raise the dangers of using Huawei and other Chinese telecom firms in foreign networks. Some European officials have considered enlisting the North Atlantic Treaty Organization in the debate, arguing that decisions about what companies to use to build wireless networks are a matter of national sovereignty. While some European countries, like Poland, have embraced the United States’ point of view, Huawei is intertwined in European networks and many countries have made heavy use of its equipment. Britain has allowed the company to build equipment outside its core networks, but has an oversight board that closely examines Huawei’s equipment and software. Australia was one of the first allies to move against Huawei, announcing a ban last year. Some members of Congress have been skeptical of banning Chinese companies by executive order, including Senator Richard M. Burr, Republican of North Carolina, who leads the Senate Intelligence Committee. Mr. Burr has said discussions with telecom companies could prompt them to voluntarily block Huawei. Indeed, big carriers like Verizon and AT&T have said they will not use Huawei equipment. But administration officials have said that without an executive order, smaller companies that serve large parts of the rural United States might use Chinese equipment. Government and industry officials have said the move to 5G networks will be more revolutionary than evolutionary. Unlike earlier generations of wireless networks, they will run more on software than hardware, allowing the possibility that companies that control the networks to divert information without being detected. This capability comes as Washington and its allies have become more suspicious of Beijing, arguing that a series of new laws gives it unfettered access to data that crosses networks built and maintained by companies based in China. Much of the attention has been on Huawei, because it makes some of the best and least expensive equipment that can go into a 5G network. It has also been the subject of Department of Justice indictments accusing it of stealing competitors’ trade secrets and is at the center of a spy scandal in Poland. But administration officials said the executive order would ban a broad array of foreign equipment, not just Huawei. It would also prevent any Russian software from telecommunications networks. It would not ban European equipment makers like Ericsson or Nokia.